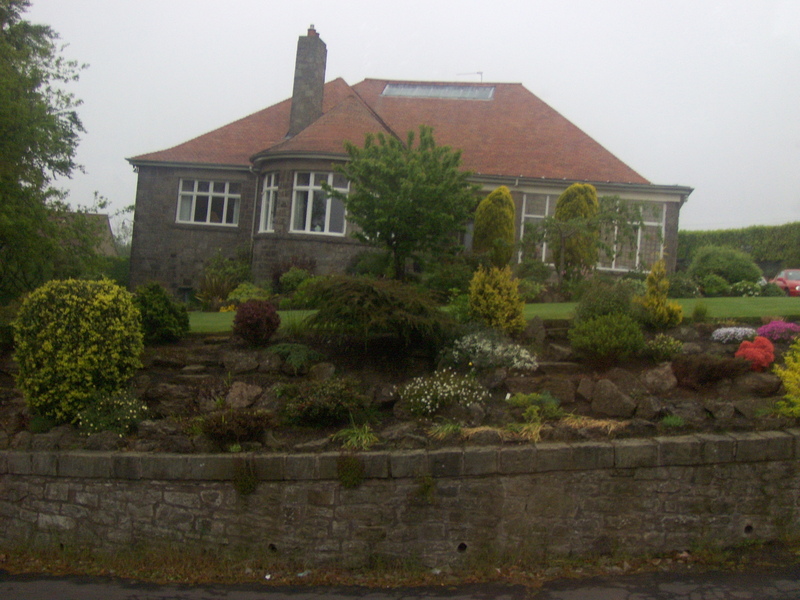 In the summer of 2008, my wife and I had gone on a 11 day tour of the United Kingdom. Our tour was to take us clockwise starting from England for a few days, then to Ireland via ferry, up the east coast of Ireland then by ferry again to Scotland and eventually back to London. We had met up with a group of people, two guys, Bruce and Tony who were from Las Vegas, and Julie and Kristina who were from California. The six of us had hit it off pretty well, and found we were having a good time hanging out with each other and doing drinking tours in various cities! We had all arrived in Scotland via ferry from Belfast, Ireland, along with the rest of our tour group. 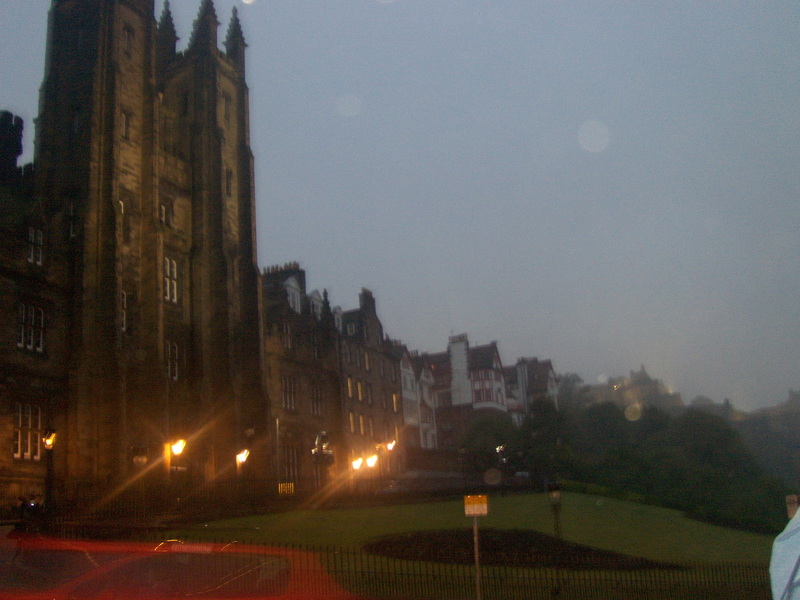 We boarded a bus which drove us about 2 hours to the city of Edinburgh in Scotland. We checked into our hotel, and then the six of us made plans to go out and explore the city. 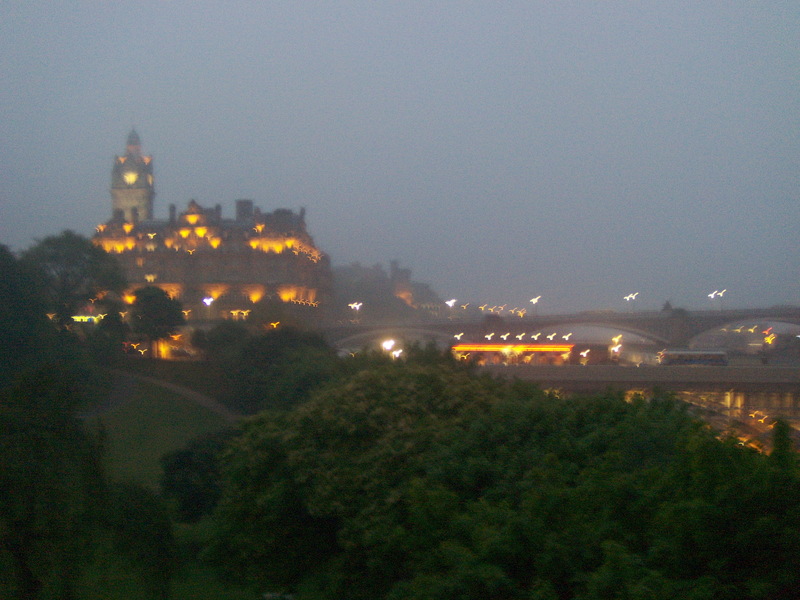 The hotel sat atop a hill, and we were told we could catch a cab downtown to Edinburgh, which is exactly what we did. Our group hailed two cabs and off we went. 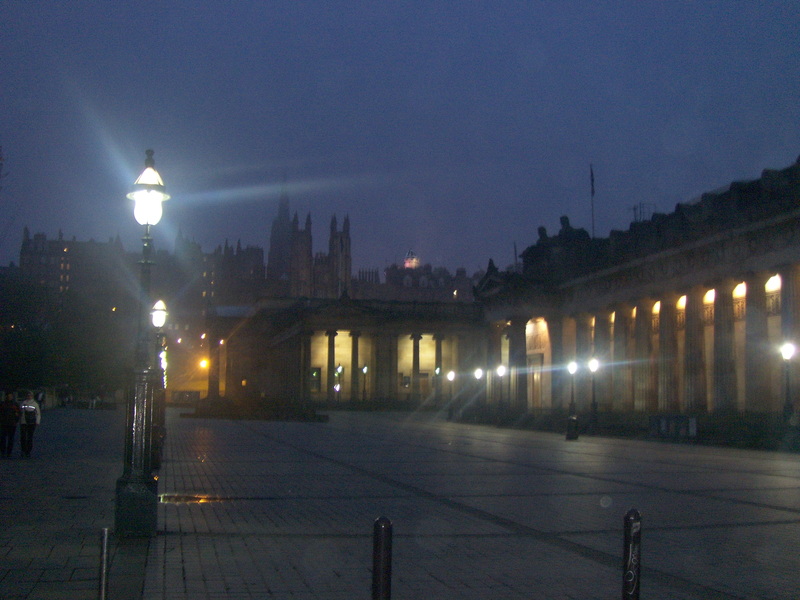 We were dropped off in downtown Edinburgh about 10 minutes later, and started walking around town. It didn’t take long for us to find a little pub where we decided to have dinner and of course, have some drinks! 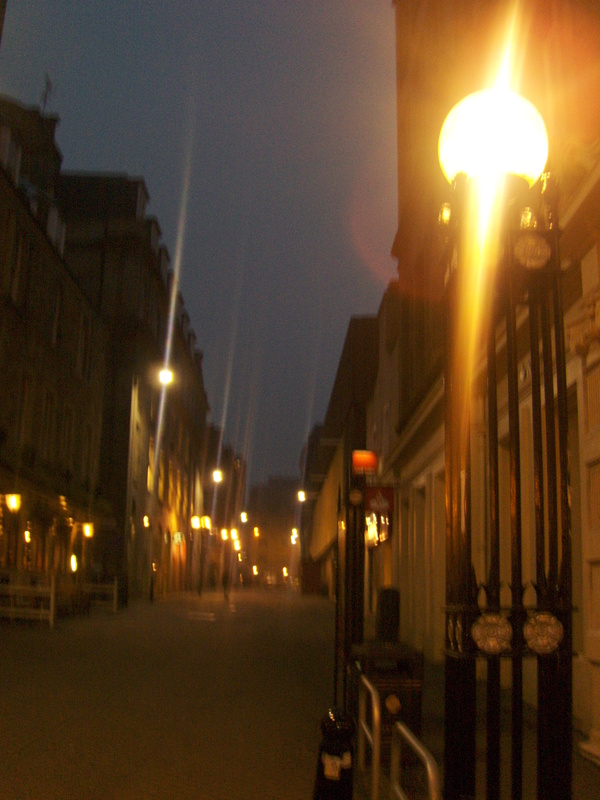 After a pretty hearty dinner, and a healthy serving of beers, we left the pub and decided to stroll around town. By this time it was probably around 9:00 p.m. or so at night at it was still daylight out, but the sun was definitely starting to go down, and so was the temperature! As it began getting dark and getting cooler out, a fog started settling over the city. As we were walking around and looking at some of the statues, buildings and churches, who all seemed to have lights shining up from the ground, the whole city took on an eerie feel to it. When we looked up atop the hill at Edinburgh Castle, it was totally unreal! 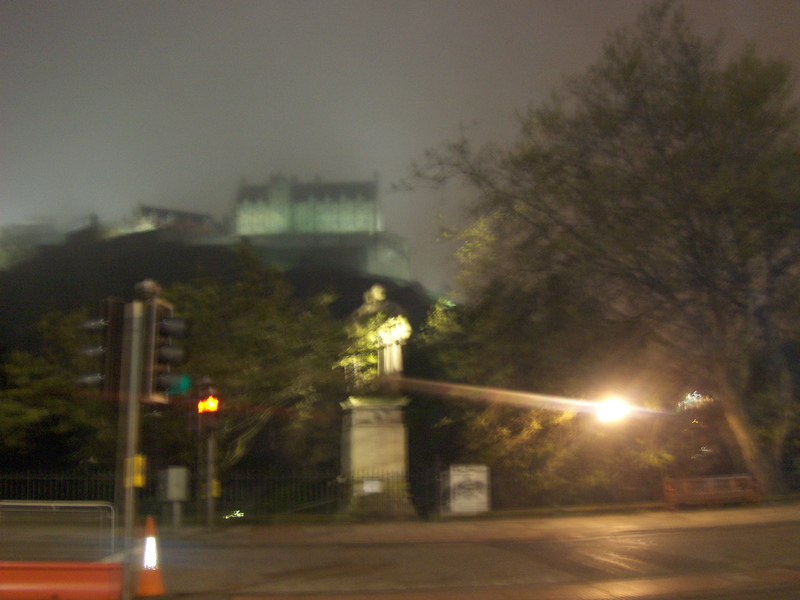 The castle was shrounded in fog, but had a ghostly look to it! Someone in our group made the comment that it seemed like Transylvania outside. It didn’t take long for this comment to become our theme of the night! Everywhere we went, which was mostly pubs, we kept echoing how much it seemed like Transylvania out. We kept expecting to see vampires in cloaks and top hats to be out walking around. We spent several hours walking around, hitting pubs for one drink a piece, and eventually found a night club in what seemed like the middle of town. The place was actually downstairs below ground, in what must have been the basement of the building. It was about 11 or 12 at night, and there were probably a couple hundred people hitting the club, dancing, and having a good time! Even though it was probably in the 50s outside, it had to be a good 20 degrees hotter in the club, given the small space and all the people crowded in there! The music was jamming and everyone seemed to be having a good time. We managed to weave our way to a bar, and order some beers, but eventually the temperature inside got a bit overwhelming so we left. We headed to another smaller pub which was a lot less crowded, and sat at the bar. The bartender poured us all a Guiness draft and made a shamrock for Kristina, in the foam of her beer with the spout. It was pretty cool! After that drink we eventually all called it a night and caught a cab back to the hotel. Back at the hotel, we stopped at the hotel bar, which though closed, still managed to serve us a round. We all had a Scotch since we were in Scotland, and then with our bellies warm and heads a buzz, called it a night! 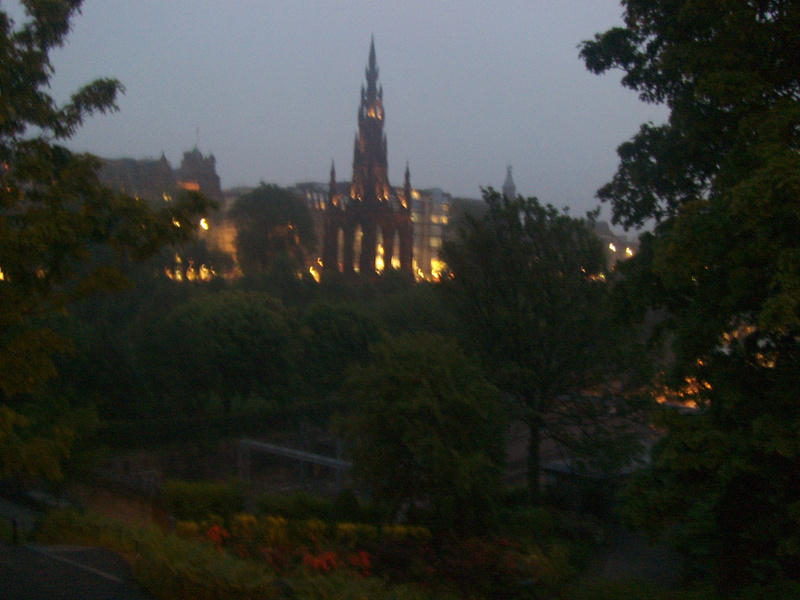 Overall it was a fun night walking around “Transylvania” in Scotland!